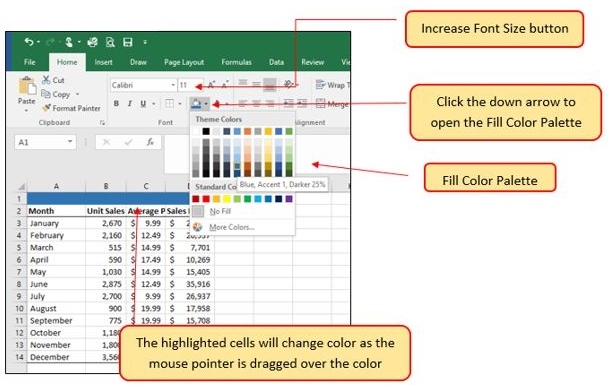 Use formatting techniques as introduced in the Excel Spreadsheet Guidelines to enhance the appearance of a worksheet. This section addresses formatting commands that can be used to enhance the visual appearance of a worksheet. It also provides an introduction to mathematical calculations. The skills introduced in this section will give you powerful tools for analyzing the data that we have been working with in this workbook and will highlight how Excel is used to make key decisions in virtually any career. Additionally, Excel Spreadsheet Guidelines for format and appearance will be introduced as a format for the course and spreadsheets submitted. Enhancing the visual appearance of a worksheet is a critical step in creating a valuable tool for you or your coworkers when making key decisions. 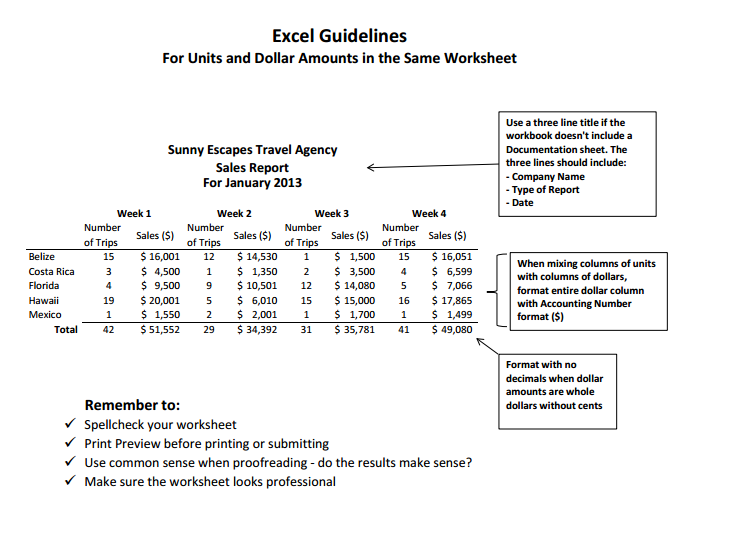 There are accepted professional formatting standards when spreadsheets contain only currency data. 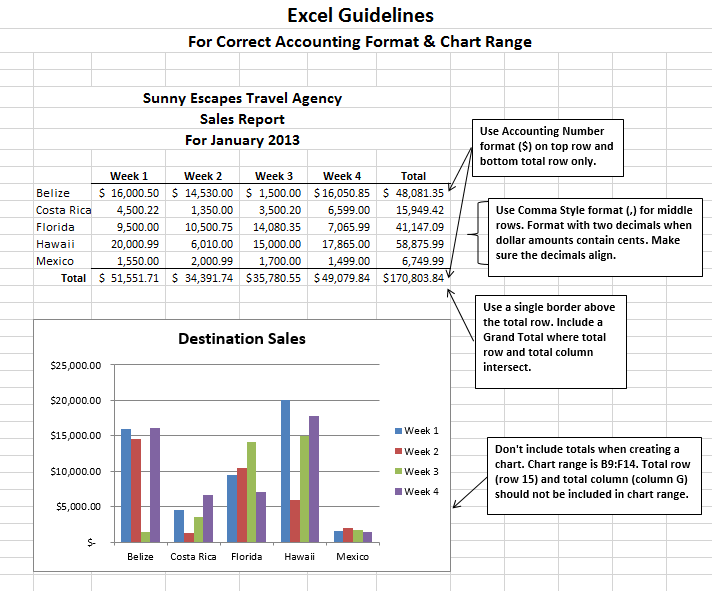 For this course, we will use the following Excel Guidelines for Formatting. 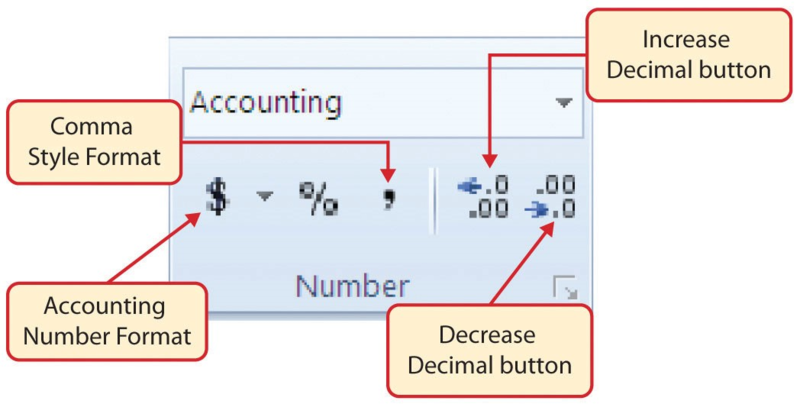 The first figure displays how to use Accounting number format when ALL figures are currency. Only the first row of data and the totals should be formatted with the Accounting format. The other data should be formatted with Comma style. There also needs to be a Top Border above the numbers in the total row. If any of the numbers have cents, you need to format all of the data with two decimal places. 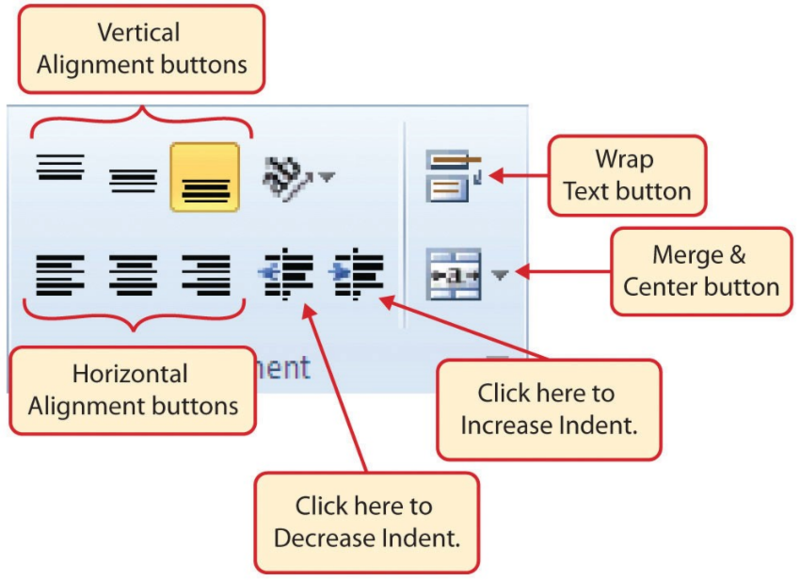 The following steps demonstrate several fundamental formatting skills that will be applied to the workbook that we are developing for this chapter. 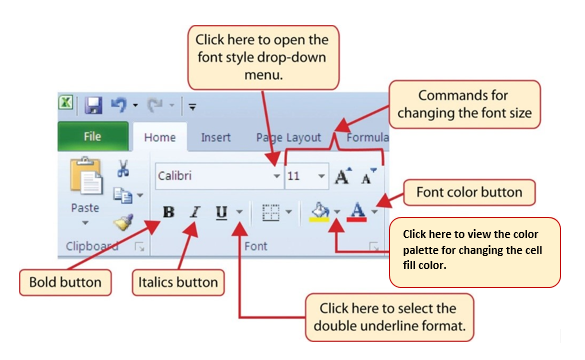 Several of these formatting skills are identical to ones that you may have already used in other Microsoft applications such as Microsoft® Word® or Microsoft® PowerPoint®. Highlight the range A2:D2 in the Sheet1 worksheet by placing the mouse pointer over cell A2 and left clicking and dragging to cell D2. Click the Bold button in the Font group of commands in the Home tab of the ribbon. Click the Border button in the Font group of commands in the Home tab of the Ribbon (see Figure 1.32). Select the Bottom Border option from the list to achieve the goal of a border on the bottom of row 2 below the column headings. Click the Border button in the Font group of commands in the Home tab of the Ribbon (see Figure 1.32). Select the Top Border option from the list to achieve the goal of a border on the top of row 15 where totals will eventually display. Click the Comma Style button in the Number group of commands in the Home tab of the Ribbon. This feature adds a comma as well as two decimal places. (see Figure 1.33). Since the figures in this range do not include cents, click the Decrease Decimal button in the Number group of commands in the Home tab of the Ribbon two times (see Figure 1.33). Click the Accounting Number Format button in the Number group of commands in the Home tab of the Ribbon (see Figure 1.33). This will add the US currency symbol and two decimal places to the values. This format is common when working with pricing data. 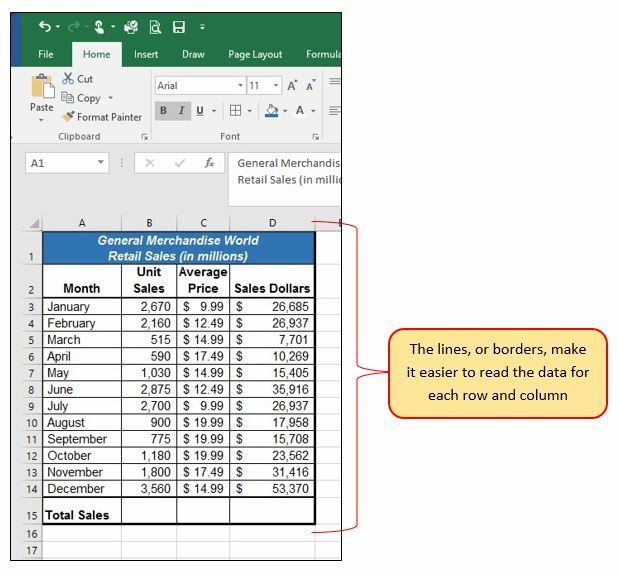 As discussed above in the Formatting Data and Cells section, you will want to use Accounting format on all values in this range since the worksheet contains non-currency as well as currency data. Again, select the Accounting Number Format; this will add the US currency symbol to the values as well as two decimal places. This will add the US currency symbol to the values and reduce the decimal places to zero since there are no cents in these figures. Click the down arrow next to the Fill Color button in the Font group of commands in the Home tab of the Ribbon (see Figure 1.34). This will prepare the range for a worksheet title. 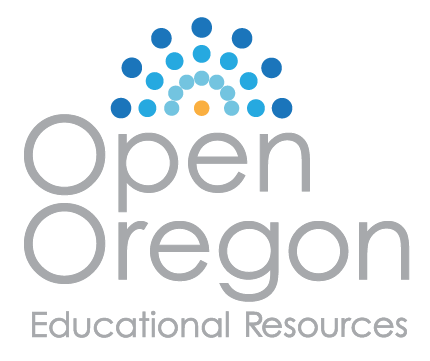 Click the Blue, Accent 1, Darker 25% color from the palette (see Figure 1.34). Notice that as you move the mouse pointer over the color palette, you will see a preview of how the color will appear in the highlighted cells. Experiment with this feature. 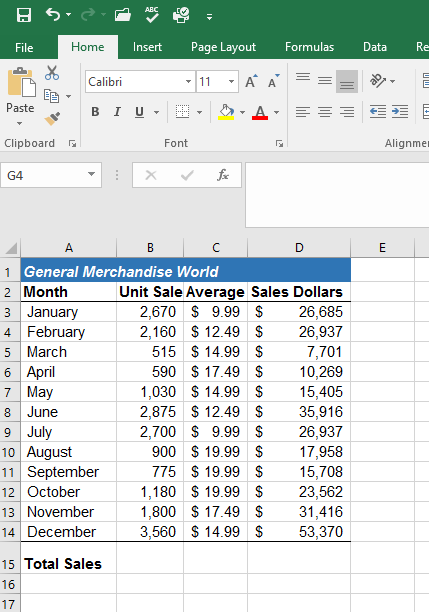 Click on A1 and enter the worksheet title: General Merchandise World and click on the check mark in the formula bar to enter this information. Since the black font is difficult to read on the blue background, you’ll change the font color to be more visible. Click the down arrow next to the Font Color button in the Font group of commands in the Home tab of the Ribbon; select White as the font color for this range (see Figure 1.32). Click the drop-down arrow on the right side of the Font button in the Home tab of the Ribbon; select Arial as the font for this range. (see Figure 1.32). Expand the column width of Column D to 14 characters. Figure 1.35 shows how the Sheet1 worksheet should appear after the formatting techniques are applied. Click the Center button in the Alignment group of commands in the Home tab of the Ribbon (see Figure 1.36). This will center the column headings in each cell location. Click the Wrap Text button in the Alignment group (see Figure 1.36). The height of Row 2 automatically expands, and the words that were cut off because the columns were too narrow are now stacked vertically. Left click the Merge & Center option (see Figure 1.37). This will create one large cell location running across the top of the data set. Figure 1.38 shows the Sheet1 worksheet with the data alignment commands applied. The reason for merging the cells in the range A1:D1 will become apparent in the next segment. 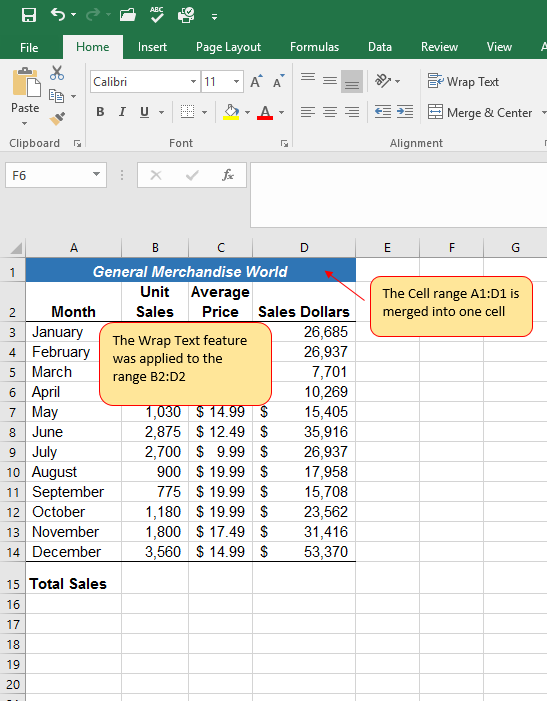 Activate cell A1 in the Sheet1 worksheet by placing the mouse pointer over cell A1 and clicking the left mouse button. Since the cells were merged, clicking cell A1 will automatically activate the range A1:D1. Position your mouse to the end of the title, directly after the “d” in the word “World” and double-click to get a cursor (flashing I-beam). 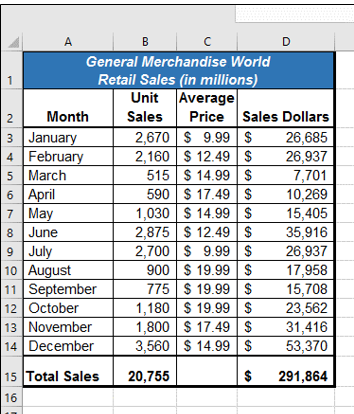 Type the text Retail Sales (in millions) and press the ENTER key. Select cell A1. Then click the Italics and Bold buttons in the Font group of commands in the Home tab of the Ribbon. Increase the height of Row 1 to 30 points. Once the row height is increased, all the text typed into the cell will be visible (see Figure 1.39). Highlight the range A1:D15. 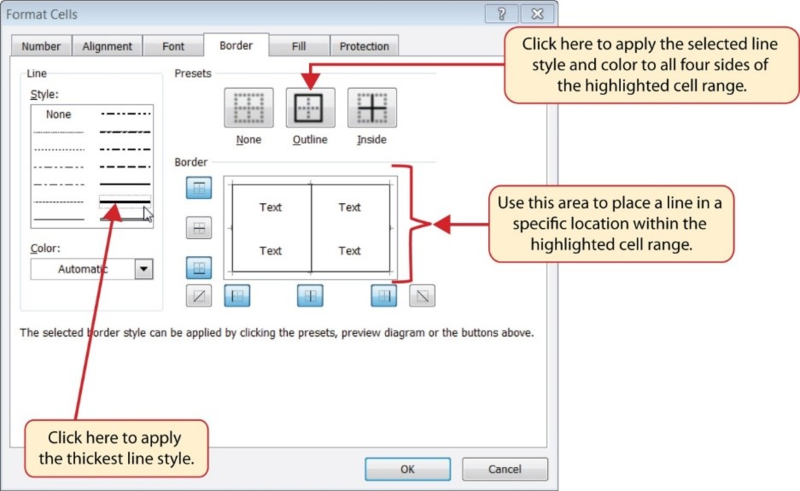 Left click the All Borders option from the Borders drop-down menu (see Figure 1.40). This will add vertical and horizontal lines to the range A1:D15. Highlight the range A14:D14 and apply a Thick Bottom Border from the drop-down menu. 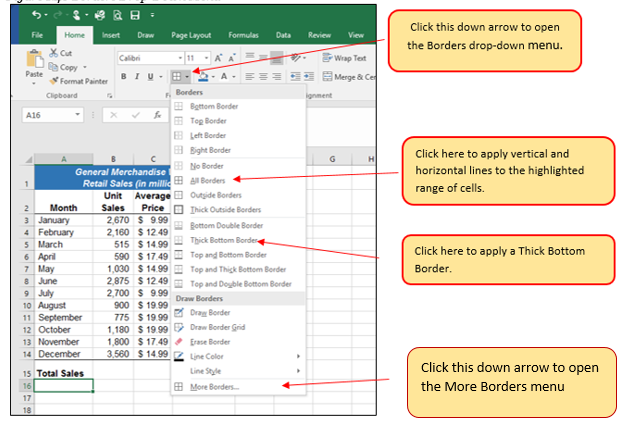 The thick border will help maintain the Excel Formatting Guidelines. Click More Borders… at the bottom of the List. This will open the Format Cells dialog box (see Figure 1.41). 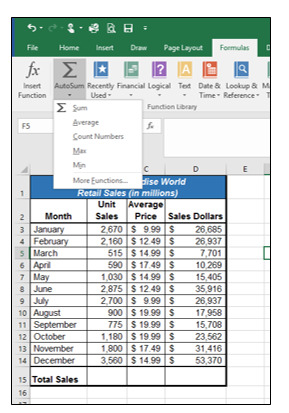 You can access all formatting commands in Excel through this dialog box. In the Style section of the Borders tab, left click the thickest line style (see Figure 1.41). Left click the Outline button in the Presets section (see Figure 1.41). Click the OK button at the bottom of the dialog box (see Figure 1.41). Click the down arrow below the AutoSum button in the Function Library group of commands (see Figure 1.43). Note that the AutoSum button can also be found in the Editing group of commands in the Home tab of the Ribbon. Click the Sum option from the AutoSum drop-down menu. The first click will display a flashing marquee around the range. Click the check mark next to the Formula bar to complete the function. Activate cell D15. It would not make sense to total the averages in column C so C15 will be left blank. Repeat steps 3 through 5 to sum the values in the Sales Dollars column (see Figure 1.44). With the left mouse button, double click the Sheet1 worksheet tab at the bottom of the workbook (see Figure 1.45). 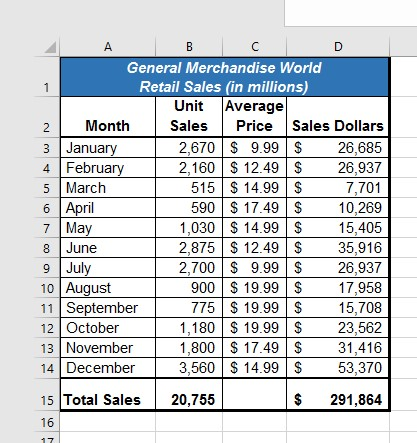 Type the name Sales by Month. 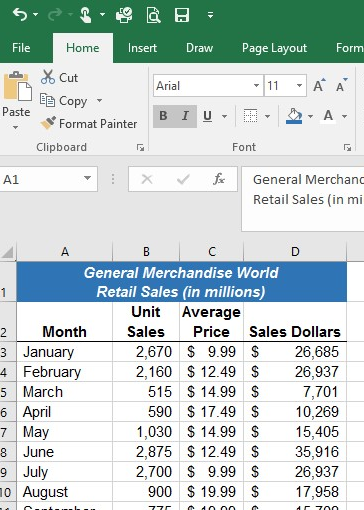 Type the name Unit Sales Rank to prepare the worksheet for future use. Click the Delete Sheet option from the drop-down list. This removes the unneeded worksheet. Click the Delete button on the Delete warning box (if a warning box appears). Complete the steps above to delete the newly named Unit Sales Rank worksheet since it’s decided that worksheet is also unnecessary so that you are left with just one worksheet. Figure 1.46 shows the final appearance of the GMW Sales workbook.